Born at Fletcher, Kent County, Ontario on 15 February 1874, eldest son of Francis Beattie Stewart and Elizabeth Farquharson, he was educated at the Chatham Collegiate before coming to Manitoba with the family in 1891 and settling near Morden, where his father was a lay minister. After attending Normal School, he taught at Clegg School (1893) then enrolled in Manitoba College. After graduation from Arts, and two preliminary years in Theology at Manitoba College, he spent a summer at the mission in Frank, Alberta. There, he became friends with Dr. George Malcolmson, who had recently opened a small hospital beside his home. As a result of his summer with Malcolmson, Stewart opted for a career change. Returning to Manitoba in the Fall, he began studies at the Manitoba Medical College. To support himself, he was a reporter for the Manitoba Free Press, being sent by the paper back to Frank to cover the landslide there in early 1903. After graduation from medical school (MD 1906), Stewart spent two years as a resident physician at the Winnipeg General Hospital and at hospitals in New York City. After attending the World Tuberculosis Congress in Washington in 1908, and completing an assistantship in a Connecticut sanatorium, he returned to Manitoba in 1909 to organize, plan and arrange for the building of the Manitoba Sanitarium at Ninette. He became its first Superintendent. The sanitorium grew from 65 beds to 300 beds under his leadership. Stewart’s dedication to his cause, applied through travel and lectures for raising funds, made him a target for the disease he was trying to fight. For a short time, he was a patient at the Trudeau Sanatorium at Saranac Lake, New York. He returned to Manitoba and resumed work as Superintendent of the Ninette Sanatorium. He was largely responsible for the success of the facility, as well as other anti-tuberculosis measures in Manitoba. His career at Ninette saw the tuberculosis rate fall to one fifth its previous level. On 2 June 1915, he married Ida Kate Bradshaw (1878-1936) at Winnipeg, with whom he had one son, David B. Stewart. While engaged in his medical career, Stewart maintained a life-long interest in natural science and history, so it was only natural that he was involved with the Manitoba Historical Society. From 1929 to 1934, he served as Society President. He also served as President of the Manitoba Medical Association (1925-1926) and was Chairman of the Committee on Ethics of the Canadian Medical Association, for whom he wrote a completely new Code of Ethics, published after his death. 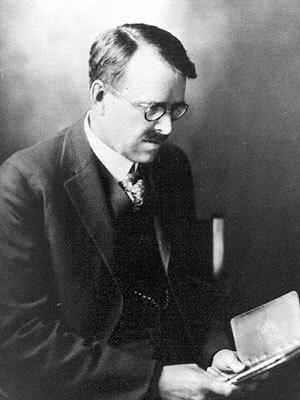 In 1927, he was given an honorary doctorate by the University of Manitoba. Brother-in-law of W. C. McKillican. He died at the Winnipeg General Hospital on 16 February 1937 and was buried in the St. John’s Cemetery. A memorial plaque was erected at the Ninette Sanatorium. His papers are at the Archives of Manitoba. “Dr. Stewart, sanatorium head, dies,” Winnipeg Free Press, 17 February 1937, page 1. Holy Ground: The Story of the Manitoba Sanatorium at Ninette by David B. Stewart, J. A. Victor David Museum, 1999.